I do not normally read biographies but having met Tim Hannigan at The Penzance Literary Festival in July where he was running a workshop on travel writing I thought I would give this book a try. I was not disappointed. The author puts the reader squarely in the thick of the action. We can smell the jungle, the smoke and cordite of the muskets and hear the sound of canon fire, the cries of the combatants and the rattling of the sabers. 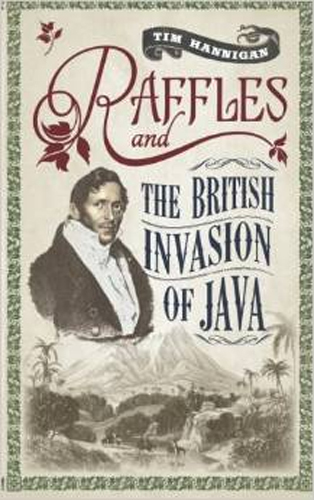 This is an account of a short lived campaign of the British army at the height of its empire and according to Hannigan, Raffles comes out of it with an extremely tarnished reputation. Raffles is famous as the founder of Singapore and London zoo. But it seems he was an opportunist out to make a quick buck. He was involved with corruption, turned a blind eye to slavery and complicit in inciting the massacre of Dutch citizens. This is all the more shocking because of the high esteem in which his memory is held by many. This book is an extremely good read and I highly recommend it. The Literature Festival ended on Sunday 8 February. I was struck by the number of biographies that were on show. Almost all the talks I went to were about or concerned with real people. There were some sessions about writing and self publishing which was heartening and I visited the one about promoting your self published books. However, it seems that it is celebrities that draw the crowds. As a fiction writer myself, I would have preferred to hear more from novelists and short story writers. Still the festival was professionally run and the talks I attended were expertly presented. On the whole it was a very worthwhile experience. 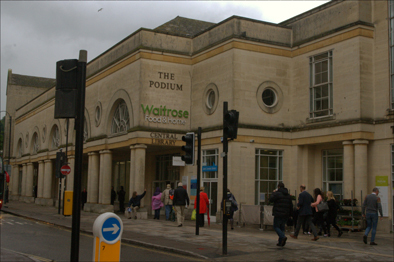 Bath is a fascinating city to visit because of its Georgian architecture. Most of the city’s attractions, The Abby, The Roman Baths and the Pump Room, are in a few yards of each other and easily accessible on foot. Parking is a problem but there is an excellent “Park and Ride” service and train station. The Central Library is one of the best I have visited and is not far from the Guildhall and the Abby. I spent a of number hours working on my laptop there utilizing its excellent internet wifi connection. 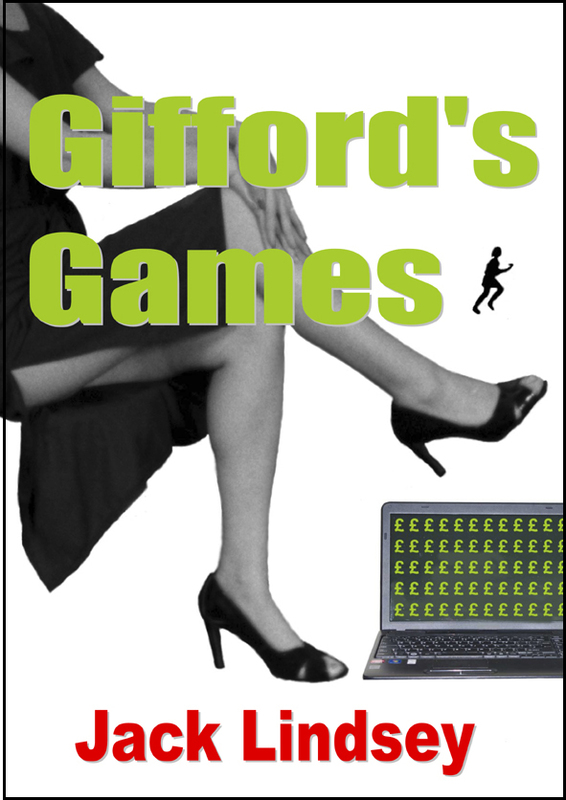 To show my appreciation I donated it a copy of the Peatmore Press novel, “Gifford’s Games” part of which is set in the city. 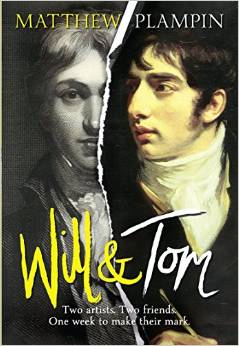 My last visit to the Festival was to hear a talk by an author of yet another biography. 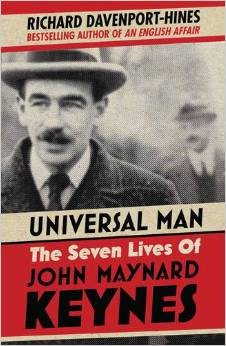 The author was Richard Davenport-Hines and the biography was of the economist John Maynard Keynes. The presentation was not about Keynes’s economic ideas but about the man himself and what motivated him. It seems he only received eight weeks formal training in economics the rest of his knowledge and ideas were gained from experience. He was bisexual but succeeded in settling down to a stable married life to a woman who was once a ballerina. He knew many of the influential people of his day. The thriller writer John Buchan did not like him and even based one of his villains on him. But he could be very charming and was an incorrigible flirt. He thought that money was for spending and that product supply and demand should be the only influences on economics. However, it is a different world now. Markets are more global. Banks and financial markets are difficult to regulate as they can simply move to another country. The author seemed to imply that if you want to know more about economics then you should look elsewhere. However, if you would like to know more about one of the most influential thinkers of the twentieth century then this could be the book for you. This year is the 800th anniversary of the signing of the Magna Carta. I am afraid that is not quite accurate because despite the many representations of King John sitting before it with a quill in his hand it was not signed but was, according to the speaker Sir Robert Worcester at today’s Festival, in fact sealed. It is the first document to set out the fundamental rights of western people which is why it is so important and would probably never had happened if King John had not been such a bad King. John has been spoken of earlier in the week (see my report of Marc Morris’s talk on Day 2). He was not only bad because he was wicked but he was also bad because he was incompetent having lost practically all of his lands in France in a poorly waged war. The charter brought about the separation of powers and ensured that no one including the King was above the law. Nothing should be taken without consent and no one should be imprisoned except by the judgement of their peers. These rights are enshrined in British law today even though the locking away of terrorists and illegal migrants without trial is currently allowed for specified short periods of time. Sir Robert explained how up until now the teaching of Magna Carta was hardly mentioned in British schools. All is about to change this year with commemorations being planned to mark its coming into existence. Coins, postage stamps and a number of books are being issued to mark the event. Details of these and much more can be found at http://magnacarta800th.com. Books about real historical figures are very much in evidence at this year’s Festival. This afternoon I attended a talk by Matthew Plampin about the artist Turner. However the book he has written is a historical novel about one week in his early life when he competes for a commission against fellow artist Tom Girtin. The author showed slides of both artists’ paintings and compared their styles. Girtin died at a much younger age than Turner (probably from asthma) and had he lived longer might have become the more famous but for some reason Girtin was not motivated to paint for posterity. The contrast between the two seems to be a fascinating idea for a story which I suspect is well worth a read. 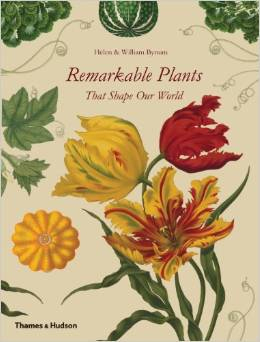 and is available in hardcover, paperback and as an ebook. You are currently browsing the Peatmore News blog archives for March, 2015.